The history of Affinia Healthcare, Inc. (formerly Grace Hill Health Centers, Inc.) begins in 1906 when it was part of the mission work of Holy Cross House. Called Holy Cross Dispensary, the Health Center, was founded when treatment was offered to those suffering from alcoholism. The doctors who cared for the patients suggested that the community might be better served by a clinic, which could offer services to other needy individuals as well. 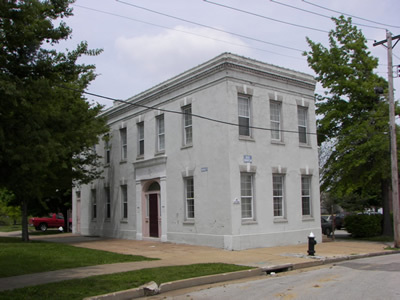 When Holy Cross mission merged with Grace Church Mission in 1910, the clinic relocated to the parish house next to Grace Church on the corner of Hadley and Benton and was continued as a project of the newly formed Holy Cross Corporation. By 1912, the Holy Cross Dispensary staff started an outreach program to bring affordable health care to children and adults in their homes. 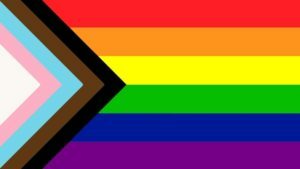 Grace Church also offered programs, which included traditional church programs such as religious worship, Men’s Clubs, Women’s Clubs, Young Men’s Associations, Girl’s Clubs, and Mother’s Guild. They also offered non-traditional programs such as the dispensary, a library, a kindergarten and milk station, savings department, summer school, a small resale store, and the only public bath in the neighborhood. By 1914, the dispensary had grown to include a baby-feeding clinic and a milk program. In 1948, Holy Cross Corporation became Grace Hill House, Inc. 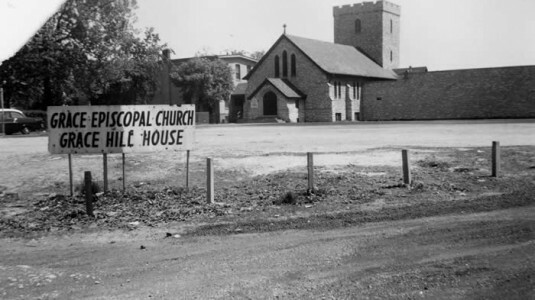 The name Grace Hill refers to the area where the chapel of the present day Grace Hill Settlement House sets. At one time, the Mississippi River was clearly visible from this point. Since the neighbors commonly referred to the area as Grace Hill, the name seemed to naturally fit. Over the years, both Grace Hill agencies have continued to make changes to accommodate the neighborhoods they serve. In 1963, due to United Way funding requirements, Grace Hill became two separate agencies under the Grace Hill umbrella. In the mid 1970s, Grace Hill Health Centers received federal funding through the Urban Health Initiative grant administered by the United States Department of Health and Human Services, Health Resources and Service Administration (HRSA). The funds received from HRSA and other government and private organizations and foundations over the years, have enabled Grace Hill to grow and enhance the services offered to meet the health needs of more than 41,000 individual patients per year. In 2015, Grace Hill Health Centers was renamed Affinia Healthcare. The center serves as a dynamic and transformative community health system, providing affordable primary and preventive health care services to the St. Louis community. Our eight facilities are staffed and equipped to provide comprehensive Primary Care Services (on a sliding fee scale), in addition to an array of Health Support Services and Community Health Programs. The Holy Cross Dispensary today. Grace Hill House in the 1950s. 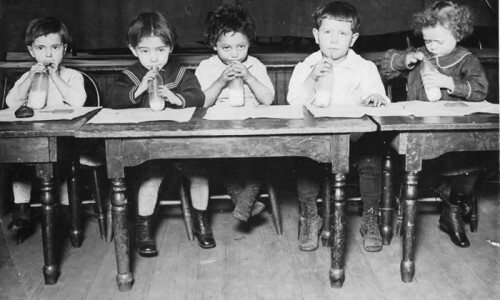 Children enjoying their milk circa 1914.